A total of 19 people appeared for hearings this past week in Van Wert County Common Pleas Court. Three people were sentenced and seven people changed their pleas. Alexander Pardo, 25, of Leipsic, was given five years of community control, including up to six months at the Western Ohio Regional Treatment and Habilitation (WORTH) Center in Lima, on a charge of possession of cocaine, a felony of the fourth degree. He was also undergo substance abuse and mental health evaluations and any treatment recommended. Austin Clark, 21, of Van Wert, was given one year of community control and 90 days in jail, which were all suspended, on a charge of aggravated trespass, a misdemeanor of the first degree. Clark was also fined $1,000, which was also all suspended. Michael Protsman, 53, of Van Wert, changed his plea to guilty to a charge of aggravated trafficking in drugs, a felony of the fourth degree. A presentenced investigation was ordered in the case and sentencing scheduled for 10 a.m. Wednesday, March 13. Jennifer Wilder, 44, of Van Wert, changed her plea to guilty to one count of theft, a felony of the fifth degree. A presentence investigation was ordered and Wilder will appear for sentencing at 9 a.m. March 13. Nicole Conn, 42, of Van Wert, changed her plea to guilty to one count each of possession of heroin, possession of cocaine, and aggravated possession of drugs, each a felony of the fifth degree. She then requested, and was granted, intervention in lieu of conviction and her case was stayed pending successful completion of a substance abuse treatment program. Jualina Dull, 31, of Van Wert, changed her plea to guilty to one count of attempted aggravated trafficking in drugs, a felony of the fifth degree (reduced from aggravated trafficking in drugs, a fourth-degree felony). She also requested, and was granted, intervention in lieu of conviction, and her case was stayed until she successfully completes a substance abuse treatment program. Shawn Clouatre, 25, of Convoy, changed his plea to guilty on one count of possession of heroin, a felony of the fifth degree. He requested, and was granted, intervention in lieu of conviction and his case was stayed pending successful completion of a treatment program. Kayla Lee, 31, of Van Wert, changed her plea to guilty to possession of cocaine, a felony of the fifth degree. She then requested, and was granted, intervention in lieu of conviction, and her case stayed pending successful completion of a treatment program. Alisha Elder, 40, of Columbus, changed her plea to guilty to one count of first-degree misdemeanor theft. She was given two years of community control, a suspended 90-day jail sentence; a $1,000 fine, of which $500 was suspended; with restitution in the case already made. Three people also appeared for probation violation hearings. Nicole Cooper, 36, of Van Wert, admitted to violating her probation by failing a drug test. A $10,000 cash or commercial surety bond was set in the case and sentencing scheduled for 9:30 a.m. Wednesday, February 13. Frederick Murray, 33, of Delphos, admitted to violating his probation by failing to report to probation. He was sentenced to 180 days in jail, with credit for 14 days already served. Spencer Davis, 27, of Van Wert, admitted to violating his probation by testing positive for methamphetamine and heroin. 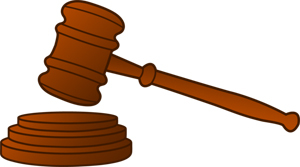 A $10,000 cash/commercial surety bond was set in the case and sentencing will be held at 9:30 a.m. February 13. In another hearing, Jose Sanchez, 40, of Van Wert, admitted to violating his unsecured personal surety bond by using alcohol and being arrested for operating a vehicle while impaired (OVI). A new bond was set at $20,000 cash or commercial surety, and a new pretrial was scheduled for 11 a.m. February 13. Three people requested time waivers in open court. Thomas Rupert, 64, of Van Wert, signed a waiver of his constitutional right to a speedy trial and requested additional time to prepare his case. A new pretrial conference was scheduled for 9 a.m. Wednesday, March 6. Travis Gaskill, 29, of Van Wert, signed a time waiver and requested more time to prepare his case. A pretrial was scheduled for 1:15 p.m. March 13. Virginia Schrader, 29, of Van Wert, also signed a time waiver and requested more time to prepare her case. A pretrial conference was scheduled for 8 a.m. Wednesday, February 27. Also Wednesday, Brandi Runyon, 27, of Van Wert, was granted early release from prison and placed on community control. She was also ordered to be assessed for an inpatient drug treatment program or drug court. Zachary Hickman, 22, of Delphos, was found competent to stand trial after evaluation by Court Diagnostic and Treatment Center in Toledo. Bond was continued in the case and a pretrial conference scheduled for 8 a.m. February 27.